When a child walks through the doors of Fieldstone Farm, you often witness a content smile. They have come to a peaceful and accepting place where they leave their worries at the door. Some say the earthy smell of the barn triggers relaxation. Some believe it is the positive vibe of the people who are enjoying their time with our horses. Others say it is because we know we must be gentle and quiet around horses. Everyone agrees, though, that they leave feeling better than they did when they arrived. Walk around the barn and you will witnes all types of victories. For a student from the inner-city, it may be finding the courage and strength to trot around the ring and feel in command of her horses. For a child who has just lost a loved one, has been bullied at school, or was a victim of abuse, it may be a moment of comfort as a horse gently wraps its neck around theirs without saying a word. 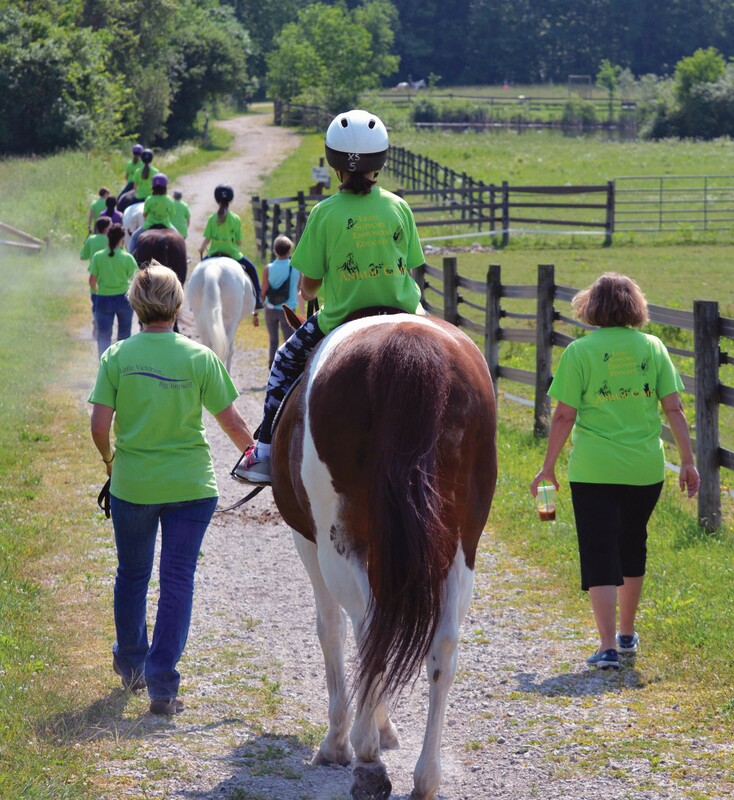 And for a child confined to a wheelchair or uses crutches, leaving those aids behind and getting up on a horse, can provide a freedom and joy unlike anything else in their lives. Our horses are intuitive beings that somehow know just what we need, when we need it. We offer a variety of programs for all ages. 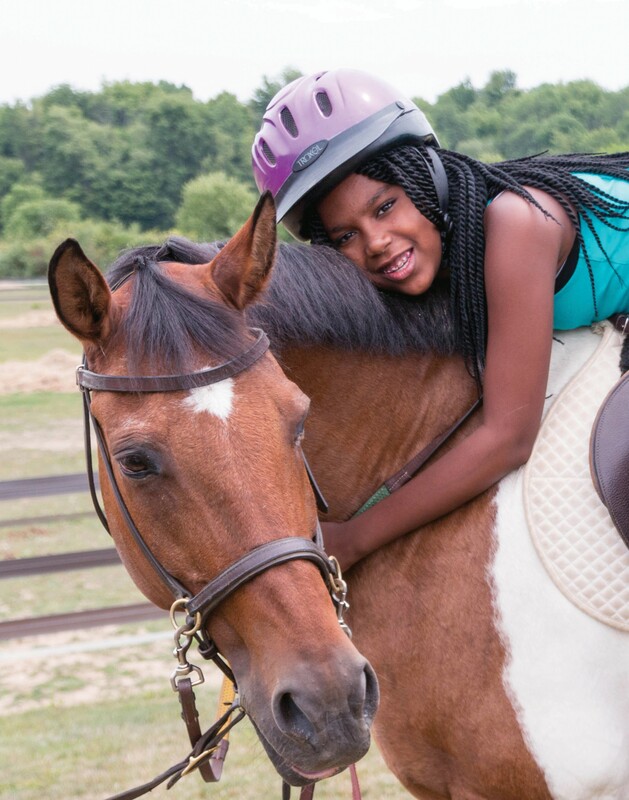 Therapeutic riding — Our therapy horses will help you build riding skills, all while gaining strength, confidence and balance. We customize our program for each student’s needs. We also assign each rider with a horse that matches their ability. Carriage driving — Learning to drive a carriage can be empowering as you learn to control a horse with the sound of your voice and the reins. Our students always drive with a volunteer whip sitting alongside them in the carriage. Driving lessons take place in one of our arenas or out on our miles of trails. 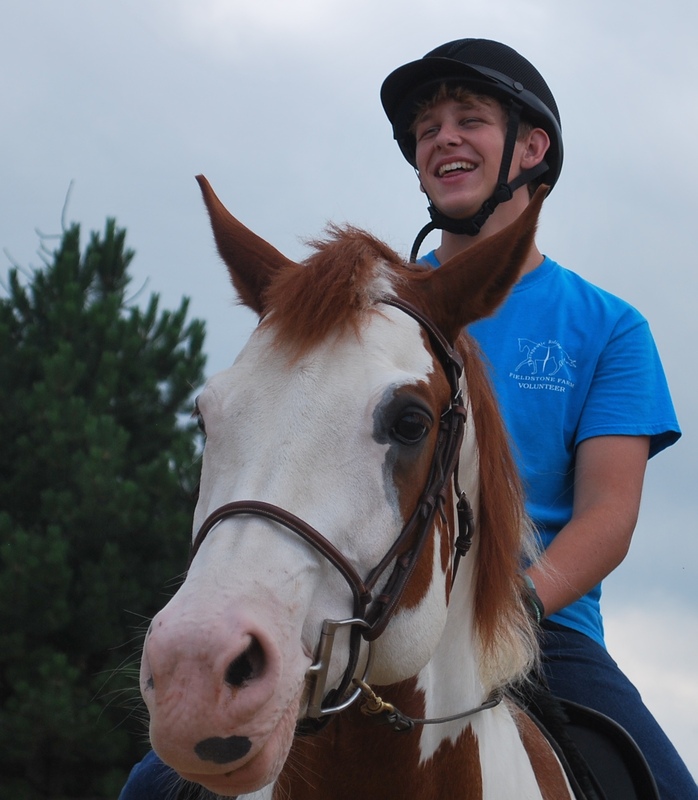 EquiClub — We offer an after-school program for teens, where students learn about horse care, feeding, and grooming. The class also gives students an opportunity for socialization. 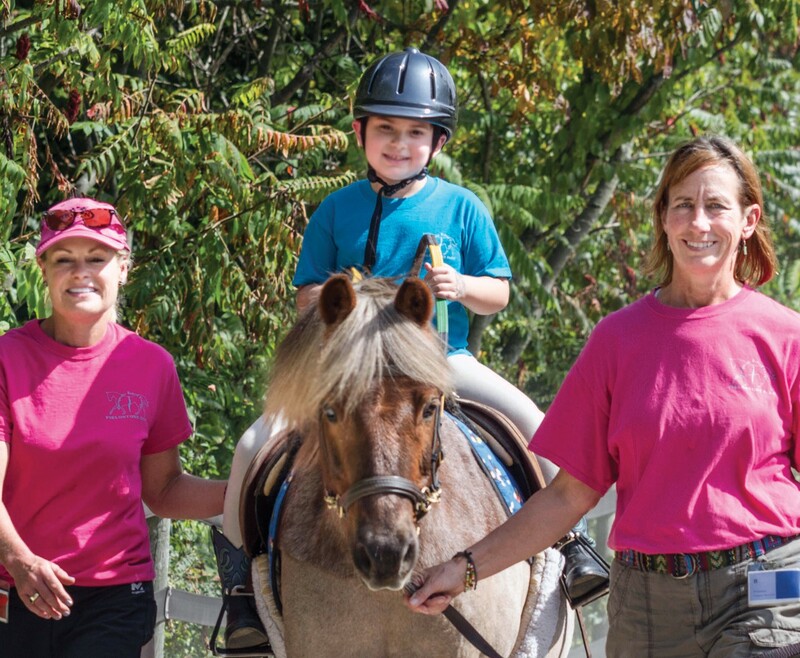 Equine Partnership — These sessions involve working one-on-one with horses on the ground, whether grooming, or performing exercise s in our round pen or arenas, alongside licensed social workers and equine specialists where people often experience breakthroughs that often take years to discover in a traditional clinical setting. This is especially effective for students with emotional challenges such as anxiety or depression. Summer Camp — Campers discover their unique talents in week-long day camps throughout the summer. 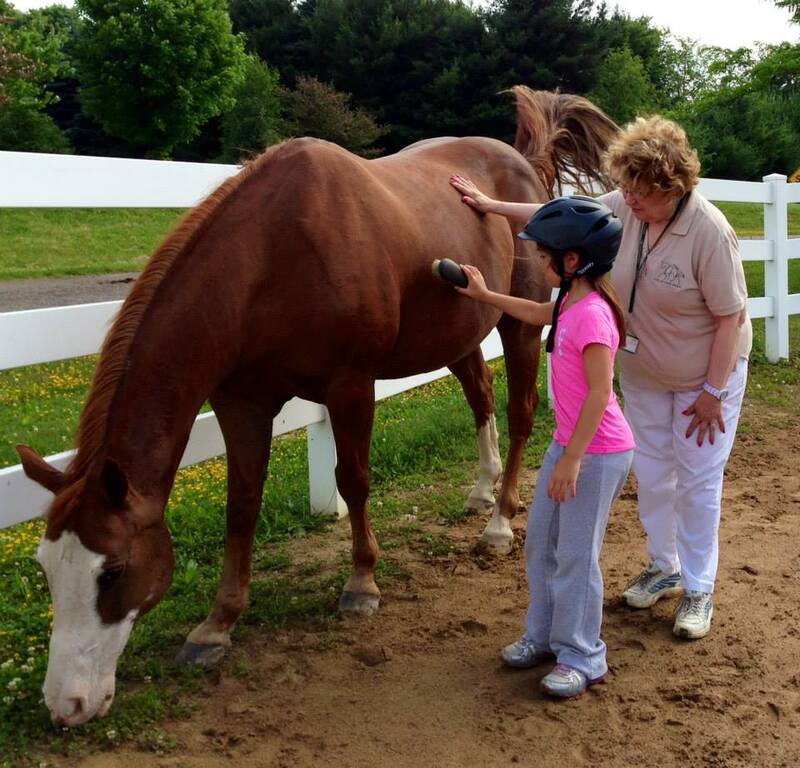 Instructors are specially trained to bring out the best in children and young adults with special needs.